Why Should Xi Jinping Get a Raise? China is increasing compensation for public sector employees to stem corruption. Judging by my Twitter feed, recent reports that the Chinese government will increase compensation for top Communist Party officials, including Xi Jinping, is not being received particularly well. 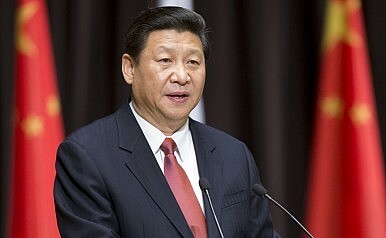 Xi himself will receive a 62 percent pay raise, taking his base monthly compensation from 7,020 yuan to 11,385 yuan. Additionally, other Chinese civil servants will also be receiving considerable wage increases. The fact that this pay raise comes amid a major anti-corruption campaign has caused some jaded observers of the Chinese Communist Party’s affairs to read the situation as hypocritical. After all, why should Xi and other top officials suddenly receive a double-digit percentage point raise? These critics, however, miss the point. As evidenced by multiple case studies, government corruption levels and average public sector compensation levels exhibit a negative correlation — this is to say that, higher levels of corruption coincide with low levels of public sector compensation and vice versa. Scholars have shown that should public sector employees of equal productivity as their private sector counterparts face wholly lower prospects for compensation, their propensity to engage in corrupt practices (including bribery, embezzlement, and nepotism) is increased. While China would rank relatively low on a list of global salaries for civil servants in absolute terms, the new raises place its public sector employees closer to the earnings of equally productive employees in the private sector (though not by much, in most cases — especially at lower levels). Beijing has been hesitant to release the precise details of how the new raises will apply to lower-level civil servants. The most famous example of higher pay leading to less-corrupt governance outcomes is that of Singapore. Prior to 2010, Singapore already paid its cabinet members competitive salaries on a global scale. Salaries for ministers were pegged to a benchmark value in comparison to the highest incomes in private sector professions including accounting, banking, engineering, and law. Singapore additionally fluctuates remuneration for senior public executives in relation to the performance of the country’s GDP, mimicking compensation patterns for private sector executives. Singapore’s Prime Minister Lee Hsien Loong is the highest-paid world leader, making roughly $1.8 million per year. Singapore’s case, however, is rather unique given the country’s strong rule of law and economic foundations. Corruption is particularly endemic to developing countries with low per capita GDPs — a category that still applies to China, despite the strong performance of its overall economy. South Asian states — many of which are known for being particularly corrupt — fail to create a large enough incentive via public sector remuneration for their civil servants to find financial corruption less attractive. Naturally, in many cases, this is easier said than done. Many governments are fiscally unable to increase compensation for civil servants without considerably reducing the size of the government or raising taxes. China’s move, thus, adds an interesting angle to the anti-corruption campaign in the country. Instead of speaking to the hypocrisy of the Communist Party elites in Beijing, it highlights an interest in technocratic public management. The raises, of course, will be far from a panacea for China’s corruption problems, but they showcase the Party’s diversity of methods in approaching the problem. Are Snowden’s Revelations Russia and China’s Poison Pill? The two countries may find it difficult to handle any data they have acquired.